In today's society, the words "new and improved" are used so regularly that they often go overlooked. As a consumer, I rarely heed the promise that a product has been re-designed to be better performing. But I was very pleasantly surprised by 365 Everyday Value Baby Diapers from Whole Foods, because they are indeed new and improved, and I experienced the vast difference between the old and new versions first hand. Obviously, cloth and reusable diapers are the greenest choice, but sometimes it's necessary, or more convenient, to opt for a disposable diaper (while traveling, for instance), so it's great to know that greener disposable diaper options are available. The first time I bought a pack of 365 baby diapers from Whole Foods, which was about three years ago, I was not at all impressed with them. They were rigid rectangles that were unyielding and did not conform to baby's bum... and they didn't contain baby's mess very well. But we have been using their new and improved diapers this week and we're thoroughly impressed with them. They feature a new accordion fastener so the size is easy to tailor and secure to baby's tush, and the diaper itself is softer and more flexible. They also contain messes better than their earlier version... (but my tip would be with these and all diapers to buy one size larger than your baby's current weight.) 365 diapers are highly comparable in quality and performance to Seventh Generation diapers... I'd say they are on par with each other. But the better news is, 365 brand diapers are $9.99 per package and they contain more diapers per pack as well. "Made from wood pulp fluff sourced from family-owned, sustainably managed forests and with significantly less material than traditional plastic diapers, 365 Everyday Value™ Baby Diapers are responsibly produced and reduce the amount of waste that ends up in our landfills. 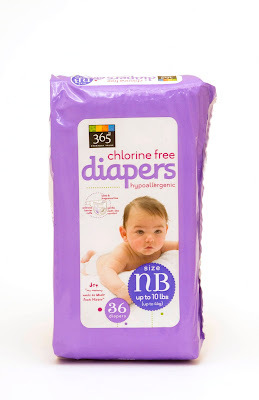 Because they are chlorine, dye and latex free, these diapers are not only less likely to irritate your baby’s skin; they are less harmful to our soil and thus a more sustainable choice." 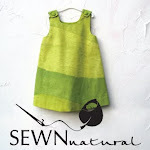 Additionally, they are hypo-allergenic, and contain no perfumes or dyes making them a safer, healthier choice for your tot- and the environment." 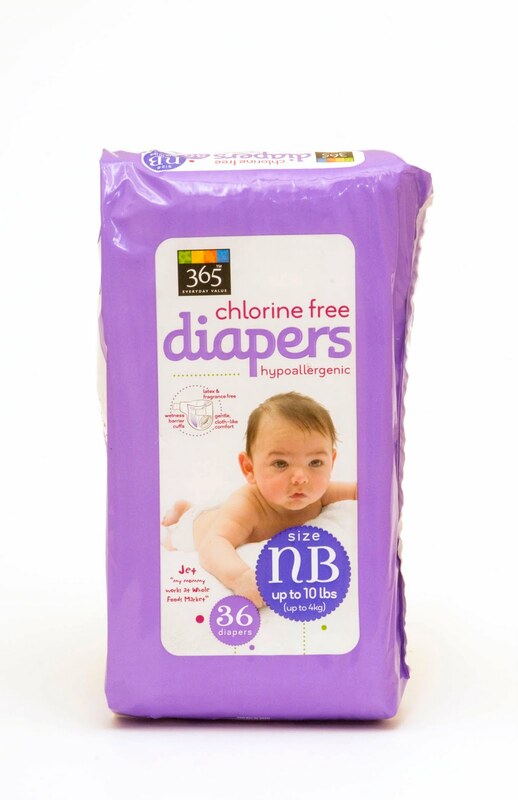 So, next time you're at Whole Foods, try the truly new and improved 365 Diapers and see what you think! We use cloth when we are at home but for outings we do disposable. I love 365 diapers in a pinch but Seventh Generation will always be my number one. I order them from Amazon get them delivered right to my house and they are actually less than 365 since there is now a discount called Amazon Mom that gives you 30% off and free 2nd day shipping. Gotta love that!